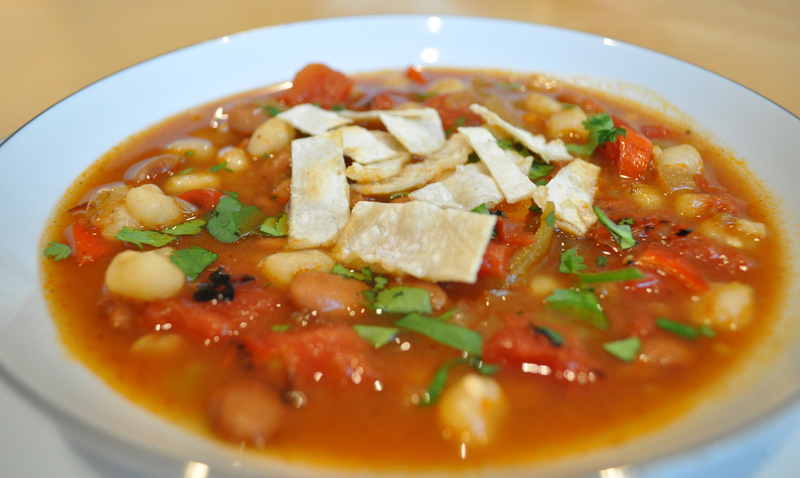 As I was thinking about our upcoming trip to New Mexico, I created this vegetarian version of the traditional southwestern soup, which is often made with pork. Sautee onions and peppers in olive oil until onion almost translucent. Add garlic and sauté 2 more minutes. Add all other ingredients, bring to a boil, then reduce heat and simmer for 20 minutes. Top with chopped cilantro and strips of toasted (you can toast these in oven or in a frying pan) corn tortillas. These two items add so much flavor - don’t skip this step!